I love being outdoors during the summer months but what I don't like is having a greasy, oily skin. For about 2 years now, I've been reaching for my Makeup Forever HD Microfinish Powder and it works perfectly. But just this past weekend, we were in North Dakota and I forgot to bring my Makeup Forever powder so I head to Ulta and purchased the Maybelline Shine Free Oil Control Loose Powder, this product is under $8.00. I don't own any powder from a drugstore because I pretty much relied on my Makeup Forever, but when I tried the Maybelline loose powder, I was surprised that it delivered a no-shine look basically the whole day, I didn't touch up at all and it held my makeup well. This works as good as my Makeup Forever HD at a cheaper price. 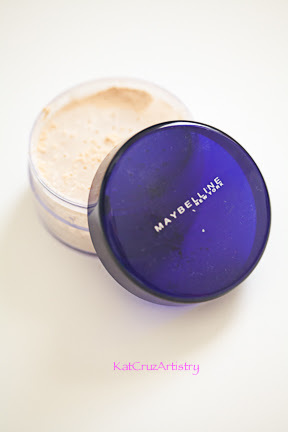 Let's face it sometimes we don't want to spend $30 on a powder and the Maybelline loose powder is a great alternative and with the price, it gets the job done. This product is worth purchasing.